One of the biggest controversies surrounding last year’s Star Wars: The Last Jedi was the movie’s portrayal of Luke Skywalker, with even actor Mark Hamill saying he fundamentally disagreed with director Rian Johnson’s vision for the character. This wasn’t the only sore point in a movie that left audiences divided but still received its share of rave reviews (not from yours truly though). 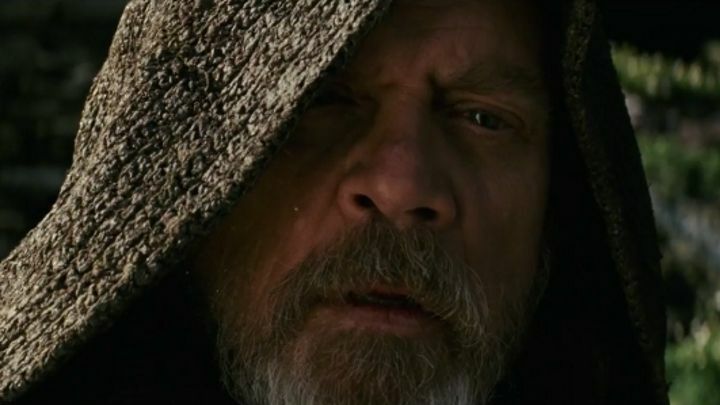 Actually, aside from Luke not conforming to what audiences might have expected before walking into a theatre, his fate at the end also left many dumbstruck, as (spoiler ahead) the venerable old Jedi ends up buying the farm at the end of Rian Johnson’s Episode VIII. Surprisingly enough, though, it appears this is something that George Lucas himself also had in mind for the character, as Mark Hamill recently revealed in an interview with IGN. “I happen to know that George didn’t kill Luke until the end of [Episode] 9, after he trained Leia. Which is another thread that was never played upon [in The Last Jedi].”, Hamill told IGN. The US actor also revealed that Rian Johnson, who will be directing another trilogy of movies after Episode IX hits theatres in late 2019, had not written anything for the next Star Wars episode. This means it will be up to J.J. Abrams (who’s now at work on Episode IX) to figure out how this first trilogy of the Disney era ends. “Ryan didn’t write what happens in 9 – he was going to hand it off to, originally, Colin Trevorrow and now J.J. […] It’s an ever-evolving, living, breathing thing. Whoever’s onboard gets to play with the life-size action figures that we all are”, said Mark Hamill. It’s likely, though, that Rian Johnson’s unexpeted story twists in Episode VIII might have thrown a spanner in the works for Abrams, who apparently had written all the episodes up to number nine while working on 2015’s The Force Awakens. Actually, George Lucas himself even had written outlines for episodes 7 to 9, but Disney decided to discard most of his ideas after acquiring Lucasfilm in 2012, something that makes sense taking into account how critically panned his prequel trilogy was by reviewers. But even though Luke was erased from existence in 2017’s Episode VIII (and apparently George Lucas also intended to liquidate the character as we now know), it’s interesting that Mark Hamill will still be making an appearance in the upcoming Episode IX. This means Luke Skywalker will likely be appearing in a flashback sequence, or in “Force ghost” form a la Alec Guinness in Return of the Jedi – something we’ll find out for sure when Star Wars: Episode IX hits theatres next year.